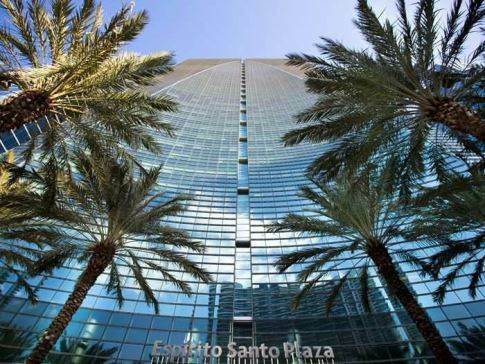 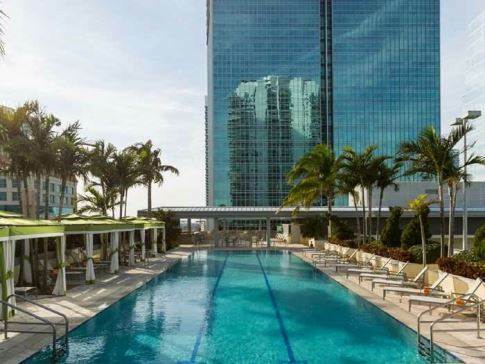 Espirito Santo Plaza Condo in Brickell is a sparkling 36-story glass tower and 300,000 square feet of class "A" office space. 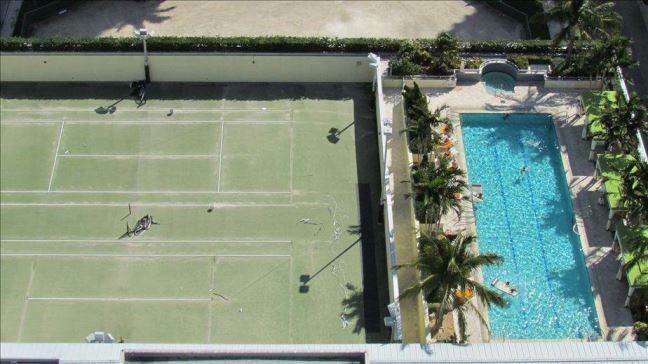 The Conrad Miami — Hilton Hotel's luxury brand — features ballroom and meeting facilities and specialty retail/restaurant space. 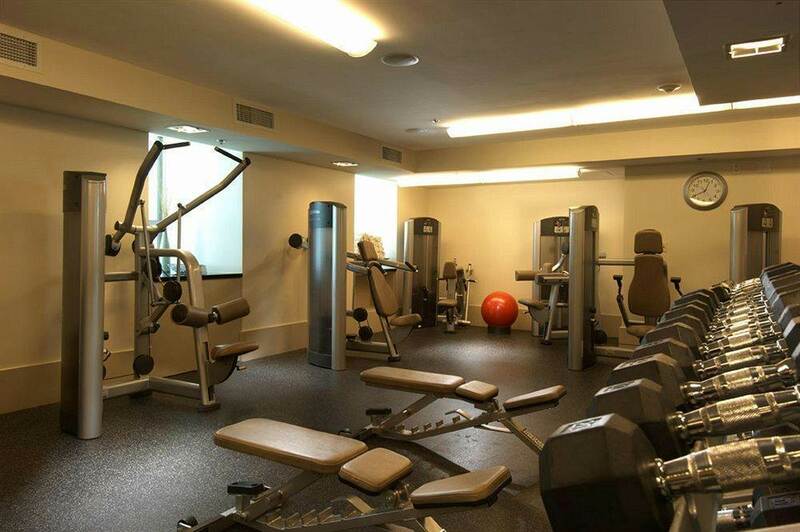 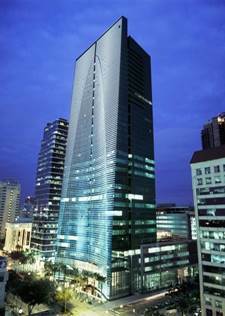 The top floors of Espirito Santo Condo consist of a fully equipped health club and luxury condominium residences overlooking the soaring 11 story atrium. 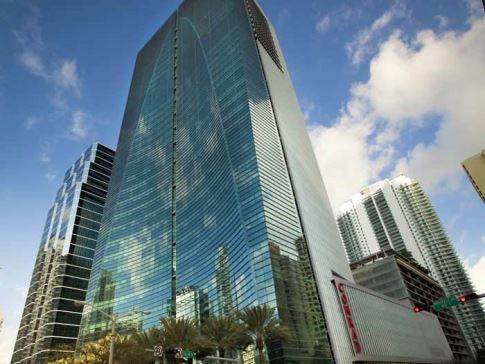 Located on a full city block fronting at 1395 Brickell Avenue, in the heart of Miami’s international financial market, Espirito Santo Plaza offers simple, elegant lines and sculptured exterior, the building welcomes visitors with a dramatic 36 story concave figural arch, beautifully symbolizing the gateway to Latin America. 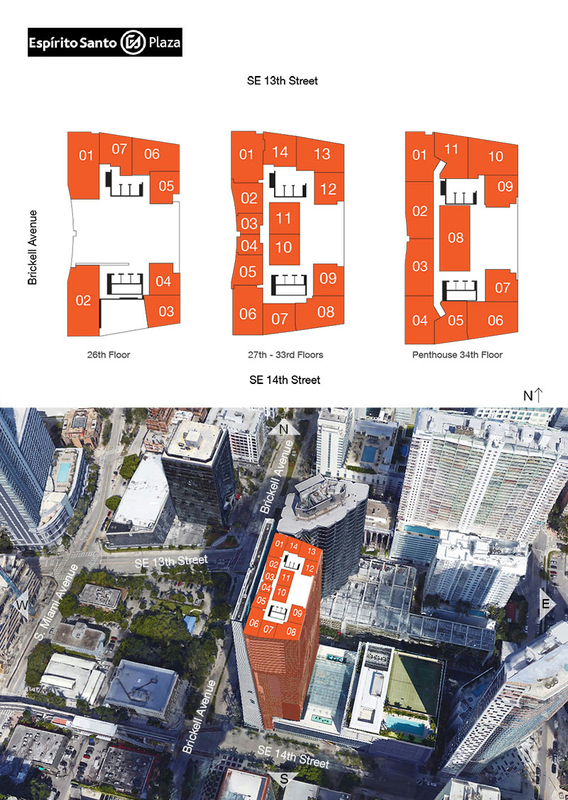 The main entrances to the Espirito Santo Plaza building is on Brickell Avenue from the west and from an internal access road and pedestrian bridge from the east. 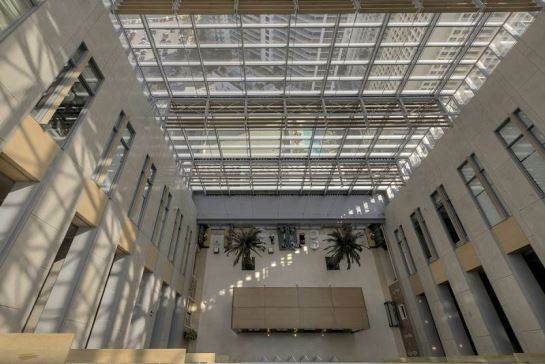 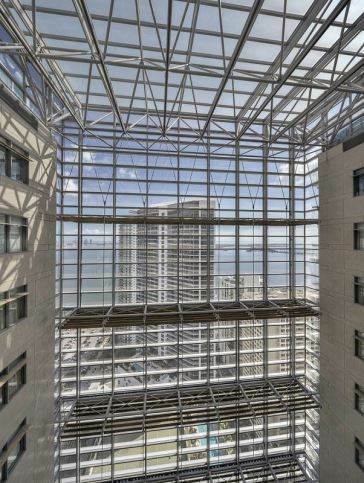 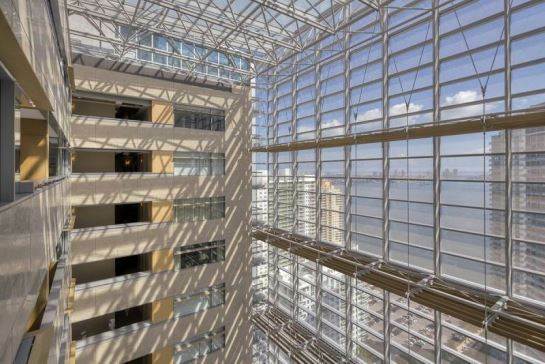 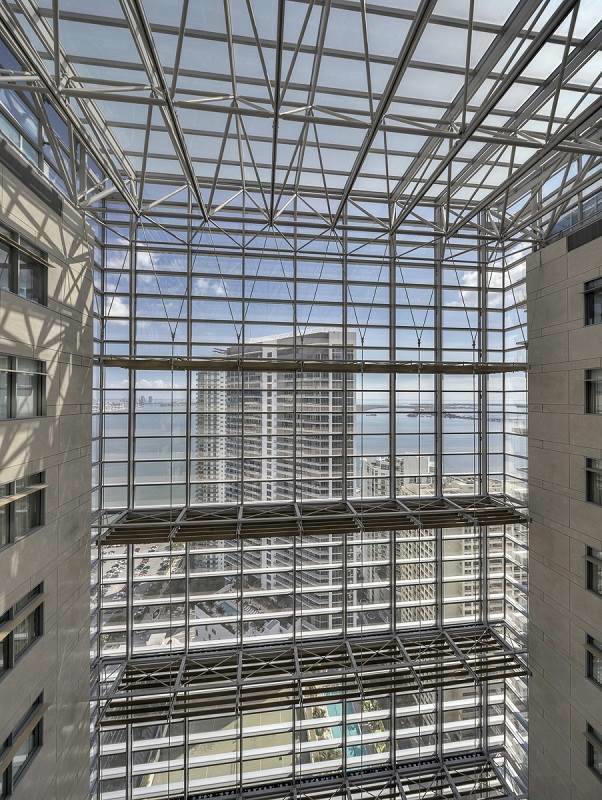 A 25th floor 11-story atrium separates the hotel suites from the condominium residences and contains the Conrad Miami's lobby, restaurant and lounge.